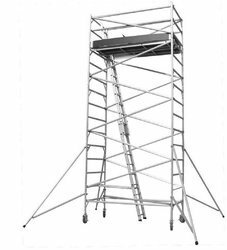 We are a leading Manufacturer of aluminum mobile tower scaffold, aluminium alloy folding scaffold, mobile scaffold cantilever, aluminium scaffolding for access, aluminum access tower and aluminum mobile scaffolding from Ahmedabad, India. 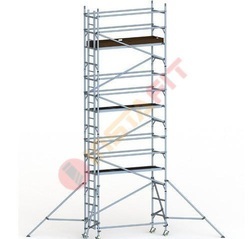 Aluminium scaffolding pipes are made up of aluminum alloy he 30-grade t6 temper. 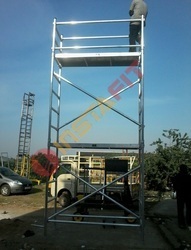 Aluminium Multipurpose folding ladder. 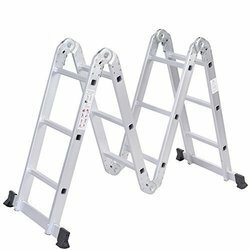 This ladder has the ability to change into 5 different positions. 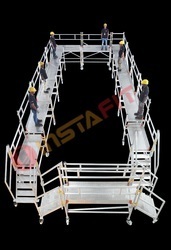 These five positions include a step ladder, stairway ladder, scaffold, 90 degree angle, and an extension ladder. 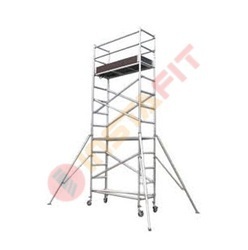 Features include easy operation and a lightweight design, wider footprint for more stability, and tri-lock hinges. 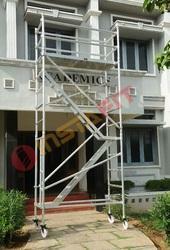 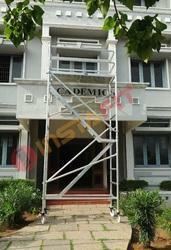 As an affluent name of this domain, we hold expertise in presenting high quality of Aluminium Mobile Scaffolding. 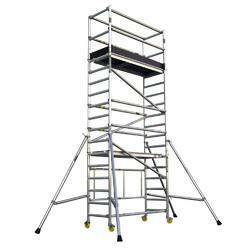 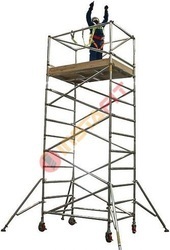 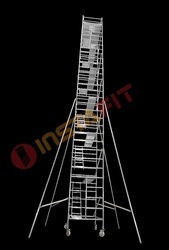 There are various types of tower scaffolding assemblies available in the industry. 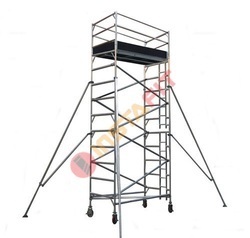 The offered tower scaffolding has rods, clamps, pipes, shutters, and plates for platform manufactured using quality aluminum alloy.